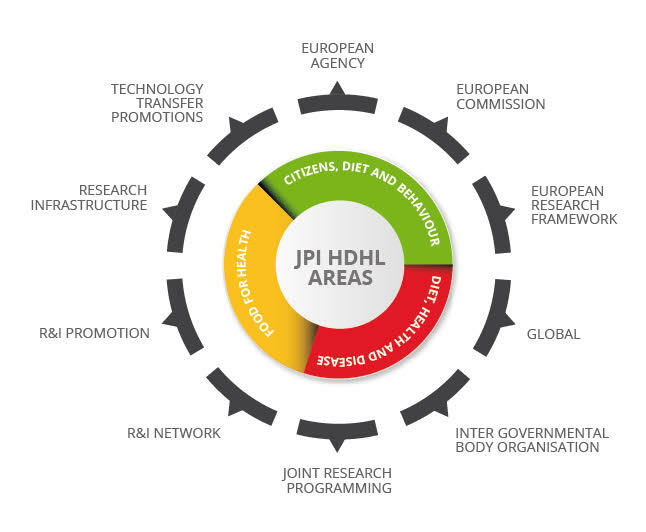 On European and global level there are a substantial amount of international initiatives that – partly – relate with the scope and objectives of JPI HDHL. Over 100 initiatives have been identified that are active on an European or Global level to program, promote/support and/or develop the (ERA) on food, nutrition and physical activity. Please find below a tool that can help you to find initiatives per JPI HDHL pillar and/or subcategory. Per initiative you can find some basic information like nature of the initiative, key words on the scope of the initiative, the website and (jpi hdhl) contact person. Would you like to make a suggestion on an organisation that is not yet included on this list? Please send an e-mail to jpihdhlatzonmw.nl.